Is Outbound Firewall A Necessity? To help answer that question, this article focuses on two loopholes/shortcomings of Outbound Firewall. 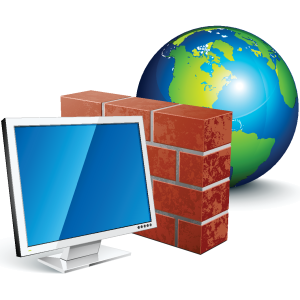 As you may already know, firewalls are for protection, protecting you (your PC) from certain bad things on the Internet. It is basically categories into Inbound and Outbound. Inbound primarily monitor the traffics from the Internet to see if there is anything malicious coming from the Internet to your PC. While Outbound does the opposite, it monitors the traffics leaving your PC. In other words it looks for threats originating on your computer attempting to connect out to the internet. While it is not bad for you to protect other Internet user, the fact is, if an Outbound Firewall detect a treat leaving your PC, it only means that your PC has already been compromised/infected. Though it is a good ideal for such alerts, but such alert will have not have been if your inbound Firewall such as anti-virus and antimalware scanner is OK. This implies that whit adequate inbound security, Outbound Firewall is mostly redundant. More also the fact that most of their alerts cannot be trusted. Since your PC as been infect, the malware affecting your PC might have additional codes to it so as to reconfigure your firewall to allow it data transmission. If this is the case, then it is better than not have the Outbound Firewall at the first place, because you will think you are protect when in reality you are not. While the article is not meant to discourage the use of Outbound Firewall, it is written so that you understand what having a Outbound Firewall does not mean, namely: I does not mean the your PC cannot be infected.